In a rapidly digitizing world, machine learning algorithms are increasingly employed in scenarios that directly impact humans. This also is seen in job candidate screening. Data-driven candidate assessment is gaining interest, due to high scalability and more systematic assessment mechanisms. However, it will only be truly accepted and trusted if explainability and transparency can be guaranteed. 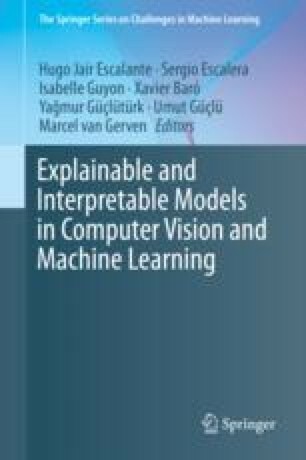 The current chapter emerged from ongoing discussions between psychologists and computer scientists with machine learning interests, and discusses the job candidate screening problem from an interdisciplinary viewpoint. After introducing the general problem, we present a tutorial on common important methodological focus points in psychological and machine learning research. Following this, we both contrast and combine psychological and machine learning approaches, and present a use case example of a data-driven job candidate assessment system, intended to be explainable towards non-technical hiring specialists. In connection to this, we also give an overview of more traditional job candidate assessment approaches, and discuss considerations for optimizing the acceptability of technology-supported hiring solutions by relevant stakeholders. Finally, we present several recommendations on how interdisciplinary collaboration on the topic may be fostered. This chapter results from collaborative work in the Erasmus+ Strategic Partnership ‘Big Data in Psychological Assessment’ (2017–2019), ref. 2017-1-DE01-KA203-003569, which is funded by the European Commission.